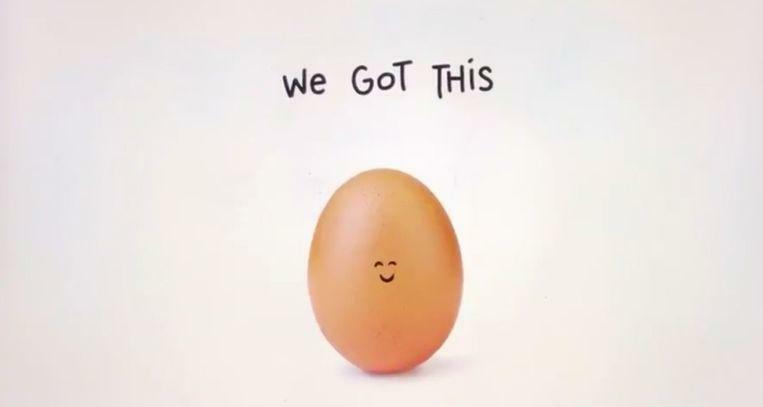 The Instagram egg that won an absolute world record of more than 52 million likes on Instagram has now also spoken. The egg, aka ‘Eugene’, was heard in a commercial about the Super Bowl on the American streaming service Hulu. It was also announced yesterday who actually is behind that successful record attempt. The ad had been prepared for weeks. Fourteen days after the original post of word_record_egg on January 4, a new photo of the egg went viral. That then showed a first small tear. A week later it was cracked a bit further, and a few more weeks later. On Saturday the egg was sewn with a plastic ball lace, a clear reference to American football. The egg announced that Sunday during the Super Bowl would reveal everything. That was yesterday, when the egg broke completely under social media pressure. The American streaming service Hulu posted the clip of the egg around the Super Bowl on his platform. It was a message from the American non-profit organization Mental Health America, intended to encourage people with stress to talk about it with someone. Mental Health America then thanked ‘Eugene’ on Instagram for “tonight with an important message to focus the spots on mental health”. The organization added that the Instagram egg had openly stood up for the 20 percent Americans who have psychological problems and do not always dare to do so themselves. The fact that the egg itself went under was not the only revelation yesterday. It also became known that Chris Godfrey, a 29-year-old advertiser from the London agency The & Partnership, is the creator of the famous world record. 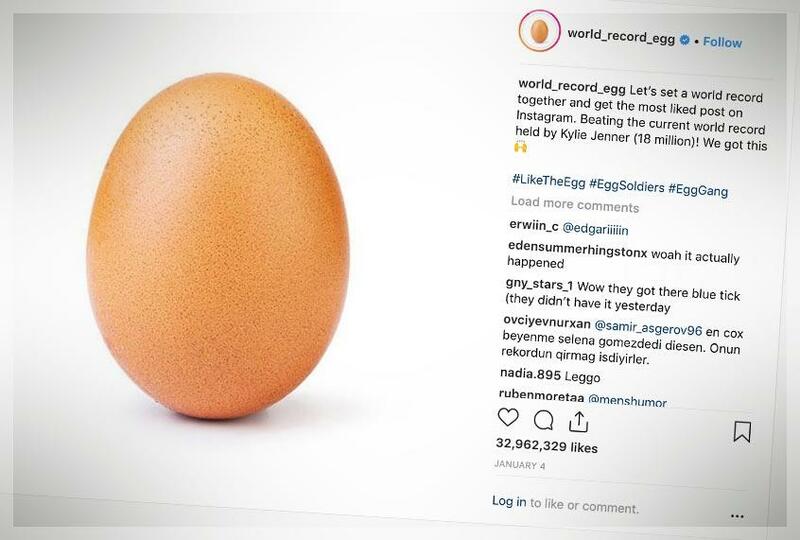 The egg knocked the Instagram post of Kyle Jenner that until then with 18 million had collected the most number of likes.